Along with pulling back the curtain on Batman V Superman: Dawn of Justice with some new stills and a ton of new information, the latest issue of Empire Magazine is also shedding some light on another highly-anticipated superhero flick: X-Men: Apocalypse. Other than the leaked Comic-Con trailer, which can be viewed above, we haven’t really seen or heard too much about the upcoming sequel, so it’s nice to see it finally getting a bit of time in the spotlight. Through a gallery of low-res images (the high-res versions will likely appear online shortly), seen below, we get a glimpse at the film’s titular villain as well as some of the supporting cast. The quality isn’t great, but we’ll take what we can get. Having seen the image above, we have to agree with the director. So far, I’m digging the look that they’ve chosen for Apocalypse and I’m definitely excited to see more of him. Of course, we don’t know exactly what kind of role the character will play in X-Men: Apocalypse, but it’s nice to hear that the director is aware of the fact that he has to integrate Quicksilver into the story in a way that makes sense. Sure, everyone loved the Pentagon scene in Days of Future Past, and I wouldn’t exactly go so far as to say that Quicksilver was under-utilized, but it would definitely be great to see him have a larger part to play in the plot this time around. Finally, Michael Fassbender, who plays Magneto, weighed in on where his character will be when the film opens up. 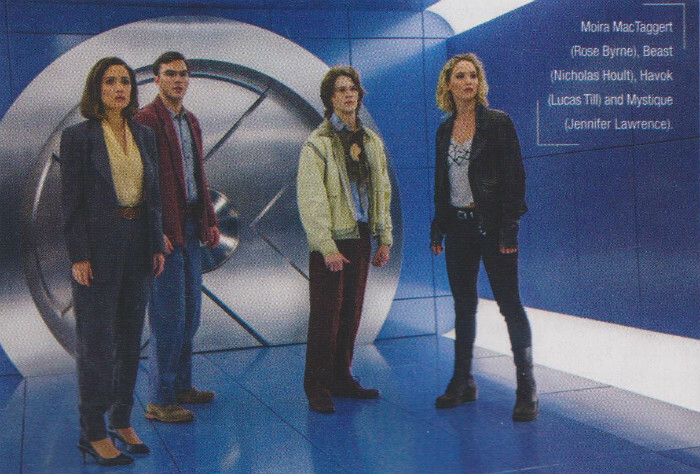 X-Men: Apocalypse will hit theatres on May 27th, 2016.